Free samples for Book Club Members Only. Learn the ABCs with Alphabet flash cards, made to match the Amelia the Flying Cat children’s book. Each card is the size of half a sheet of printer paper, costs the price of an app to download. 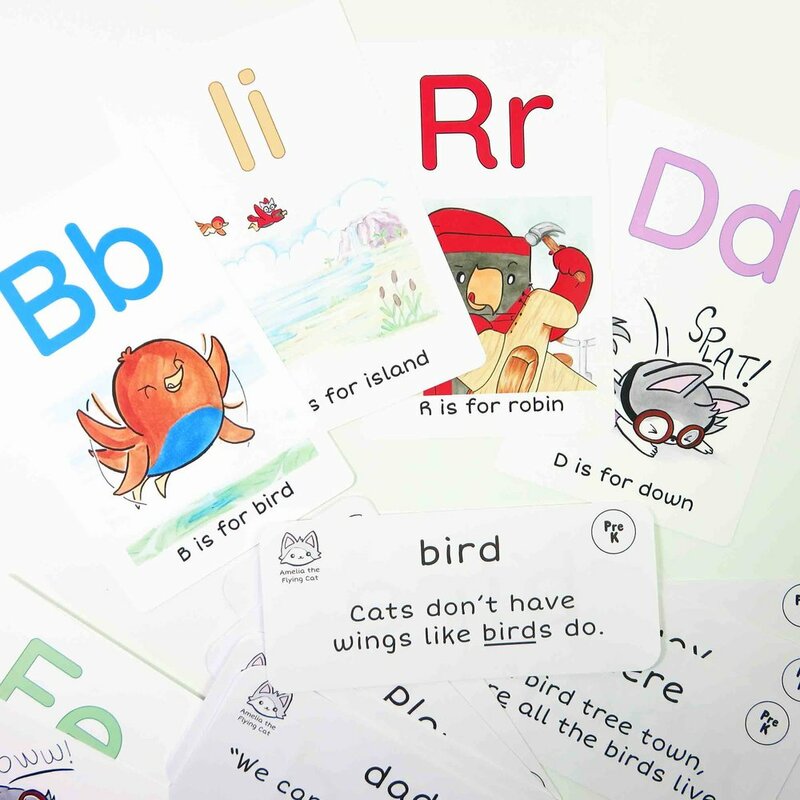 Practice sight words with these flash cards, made to match the Amelia the Flying Cat children’s book. All cards are divided and labeled by Reading level, Pre-K through 3rd Grade, 96 Sight Word Cards total. Each card is the size of 1/3 of a sheet of printer paper, costs the price of an app to download. Need help squeezing in story time with your kiddos today? I've got you covered. Wait a sec, are you in the Book Club? Join now for free & instant access to ALL these resources! What's the BOOK CLUB? Check out the PERKS!